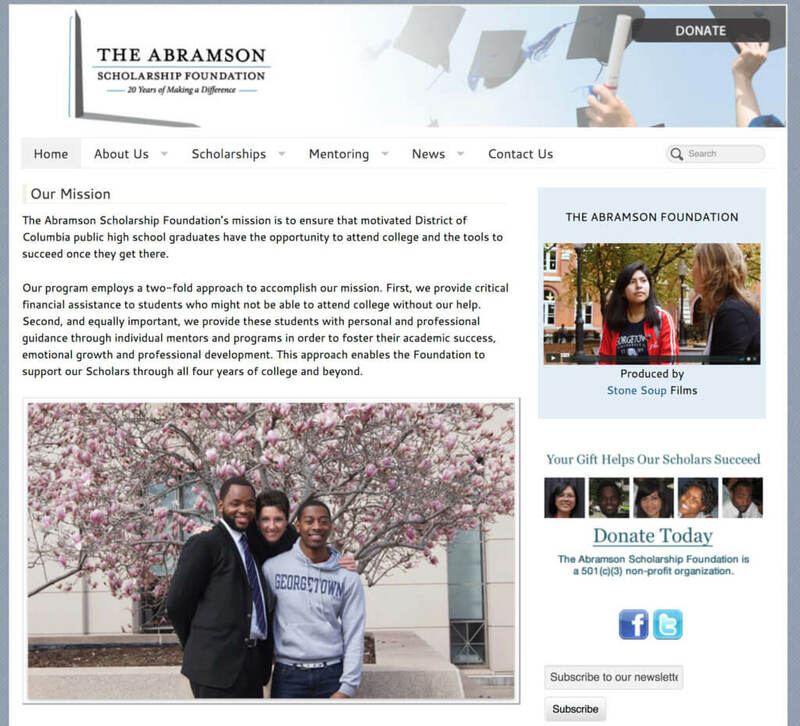 We are thrilled and honored to have helped The Abramson Scholarship Foundation update their website. The team at this foundation, almost all volunteers, are dedicated to helping high school seniors in Washington, DC not only finance their college education, but also to guide them through their college experience with their unique mentorship program. We believe in the power of education and the need for support through this challenging time, so we were excited to be a part of this team! The old website was out of date, bloated with a lot of empty and unused content, and needed some organization to highlight the application process and uniqueness of the program. We added the GiveWP plugin to help the directors manage their donations and the donor database, with at-a-glance reports and easy integration with Stripe. The former website for the Abramson Scholarship Foundation needed some updates and enhancements. As part of the refresh/redesign process, we updated the logo to simplify it. We encouraged new photography, which turned out so well we had a hard time selecting just one for the home page! Great photography really makes a website shine. 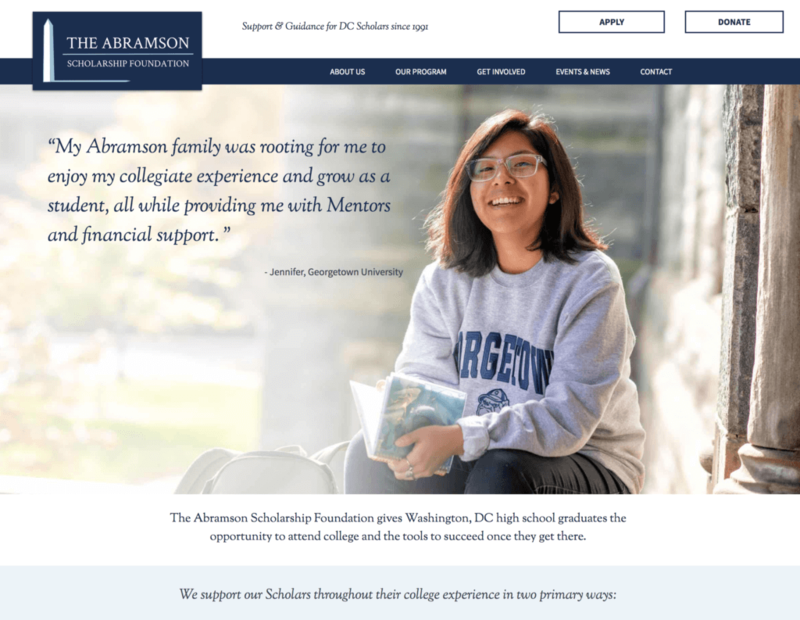 The new website for the Abramson Scholarship Foundation made use of great new photography and an updated logo.